In 2012 we intercepted two hours of Jet Lag — the radio program hosted by Yoon Nam — which ceased airing three years ago following an inspired decade-long run on Atlanta’s 88.5 fm. Earlier this year we caught up with Nam as she put together the following two-hour mix amidst a visit to her native Korea. Below, the selector in her own words, followed by two hours of music. 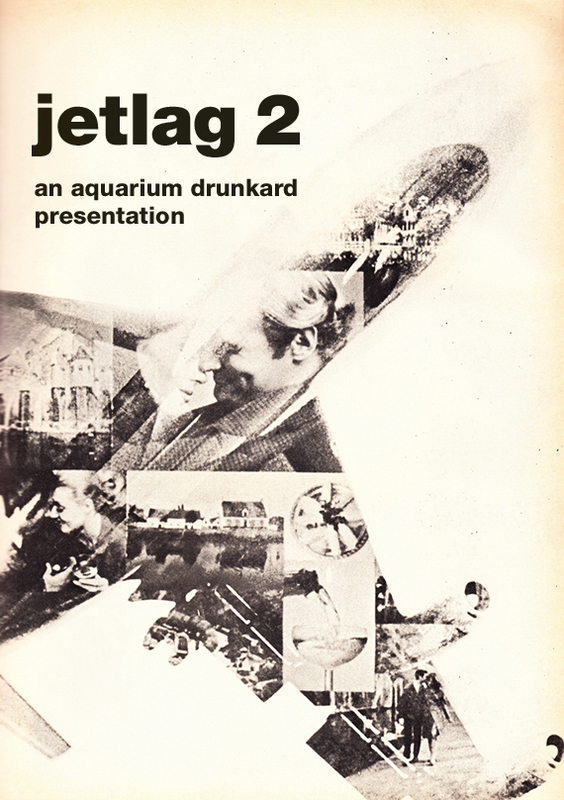 My last mixtape with Aquarium Drunkard showcased my 60s-70s international psych and prog radio show, Jet Lag, that I hosted for almost ten years. Since then I have been hosting an all-vinyl, monthly dj night with Chris Devoe at The Sound Table in Atlanta called “The Trip,” and I do always think of sets as trips, both in a literal sense of taking listeners from one place to another and in a psychedelic sense. Records seem perfect things to use to make trips because they are somehow personal, physical, and nostalgic, and this mixtape actually contains several songs I loved while growing up. Nostalgia is central, I think, for the sonic imperfections of well-played records become part of the experience, physical markers of someone’s past emotional journey through the same musical experience shared by the current listener. I wanted this trip to feel really fresh, so it’s mostly little-known music, and the sets build from the really giddy and blissed out first hour to the beautifully heavy introspection of Lard Free and Annexus Quam at the end. What a treat of mostly unexplored international music, also because each hour is completely different in mood. Thanks so much for being the conduit, Aquarium, and to your friend Yoon for sharing this. Stellar mix! So many great tracks, I’m going to have to dig back and find the first mix on AD. D’you know any more about ‘Rainy Night’? I can’t find anything about it from Google, even with the help of your other bits of information. Fantastic. This may be the best mix I’ve heard since Holy Warbles/Ghostcapital days. I really, really miss Atlanta radio. Between 88.5 and WREK 91.1 there was so much good music to explore. I can listen to 91.1 online now, but I mainly listen to the radio in the car. I’m in DC now and you’d think we’d have at least one diverse station, but no such luck.